Heritage Grounds Services were employed to maintain the grounds in an outstanding private garden in Gerrards Cross, Buckinghamshire. 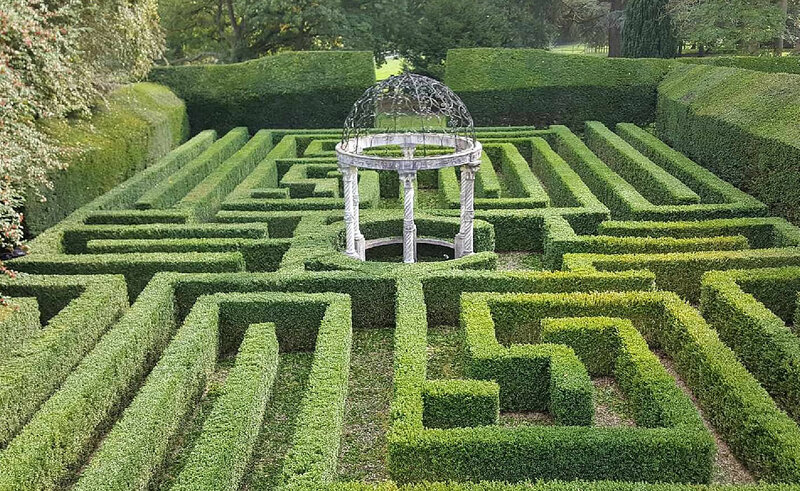 This stunning garden has many amazing features including a Buxus box hedge maze which needed to be pruned and shaped to keep the clear, crisp lines of the maze. The grounds maintenance team alongside our specialist plant medic, treated all hedges and topiary pieces with folia and drench feeds. During this process our plant medic was on hand to look out for any pest or disease that could cause an issue to the plants.